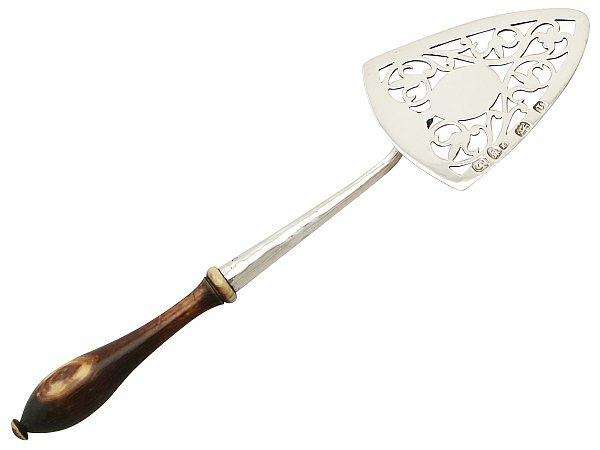 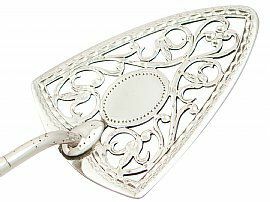 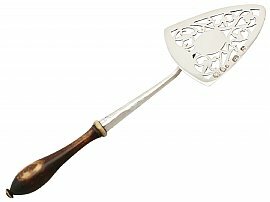 This impressive antique Georgian sterling silver server has a triangular, rounded blade. The anterior face of the blade is embellished with impressive finely pierced scrolling leaf decoration accented with bright cut engraved details. 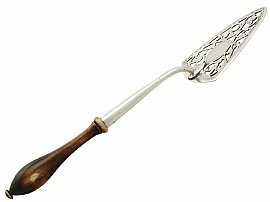 The decoration to the blade incorporates a vacant oval cartouche in junction with the plain bolster. 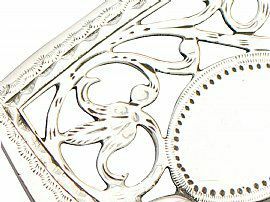 The blade is further ornamented with an undulating bright cut engraved and pin struck paralleling border. This silver server retains the original and exceptional turned stained-coloured ivory handle with a knopped terminal. 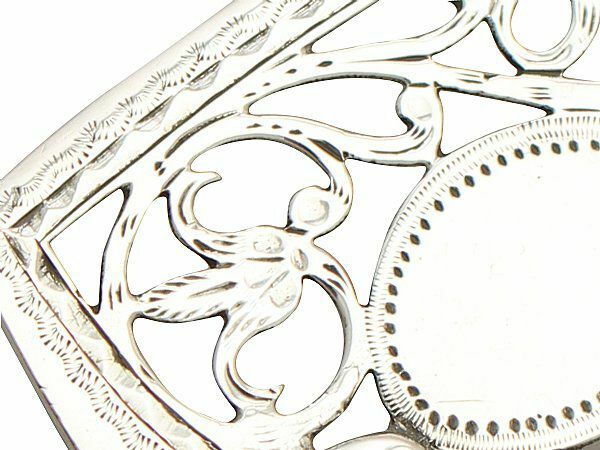 This impressive period piece, crafted by the Georgian London silversmith Benjamin Mountigue*, is in the original condition. 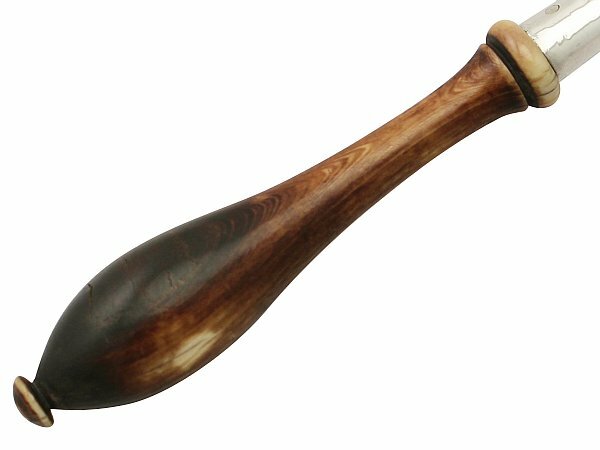 * Benjamin Mountigue was registered in October 1773 and also known as Benjamin Mordecai. 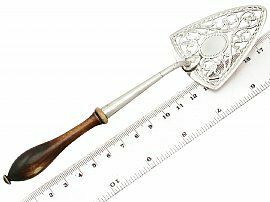 This antique server is a very good gauge of silver, excellent quality and in excellent condition. 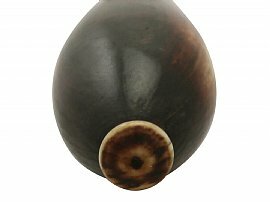 The coloured-staining to the ivory handle has natural wear in keeping with age. The bright cut engraved and pin struck decoration is all very crisp. 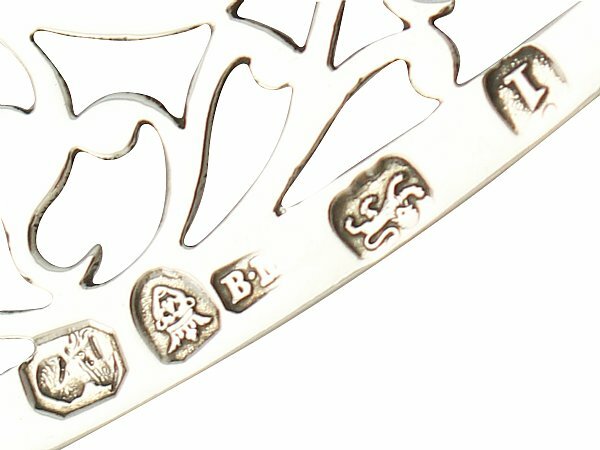 Full hallmarks struck to the underside of the blade are all very clear. Reflections in photographs may detract from the true representation of this piece of Georgian flatware.